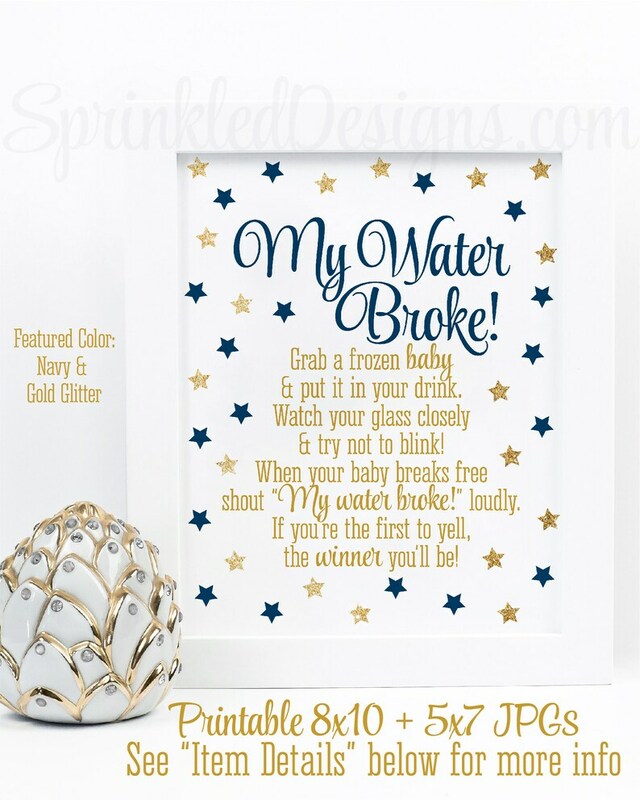 This listing is for 2 non-customizable high resolution printable JPG files in an 8X10 and a 5X7 in NAVY BLUE & Gold Glitter, featuring the quote "My Water Broke! Grab a frozen baby and put it in your drink. Watch your glass closely and try not to blink. When your baby breaks free shout "My water broke!" loudly. If you're the first to yell the winner you'll be!" 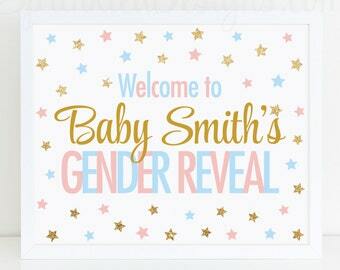 game is the perfect way to add some excitement to your baby shower!